We love our Blendtec and think ONE lucky winner will too! 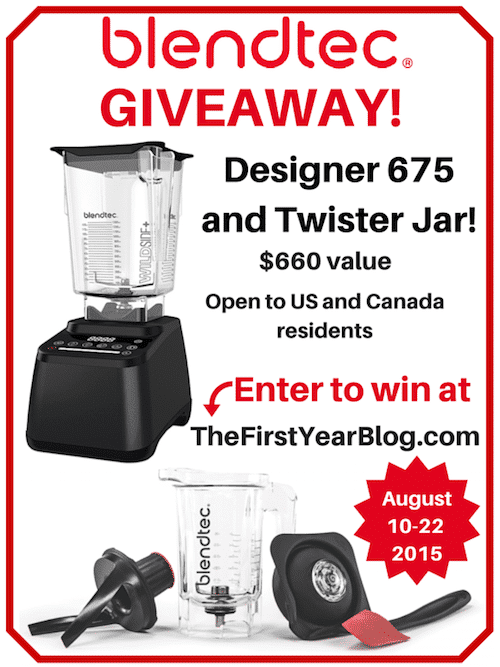 Thanks to Blendtec we’re giving away ONE Designer 675 Blendtec and Twister Jar, which retail for approximately $660.00. The giveaway is open to United States and Canada residents only and will run from August 10th 2015 to August 22nd 2015. The winner will be selected randomly and contacted via the e-mail they provide. If the winner does not respond within 48 hours, a new winner will be chosen and notified. Use the form below to enter the giveaway. Simply leave your e-mail address and full name, click “Submit” and you’re entered!